Since the scene is set in the Republic of Zubrowka (fictional, also), which is an Eastern European nation, I made my favorite European cookie: Murbteig. It's a buttery cookie that I almost always infuse with lemon zest and vanilla bean, but the variations are endless, really. You can pat it into the bottom of a pie pan and use it for pie crust, use it for cut-out cookies and jammy thumbprints. You can see its many uses here, in a past Christmas cookie post. 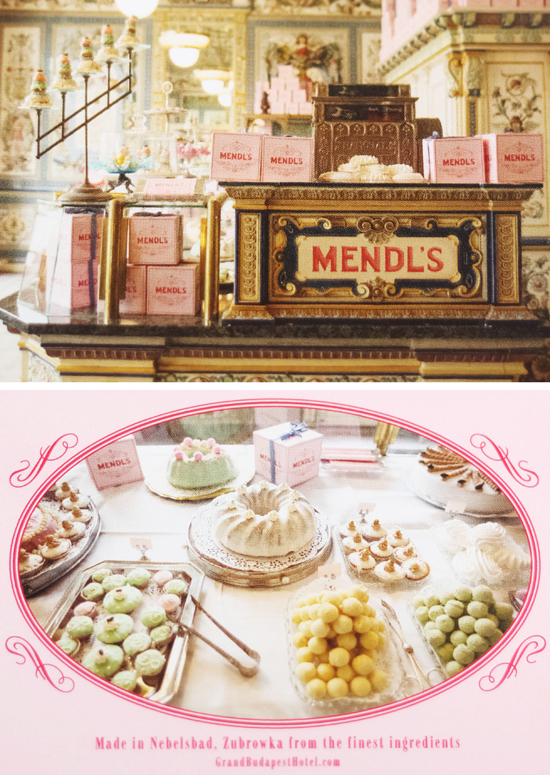 The above shows a little of my process making the fleet of Mendl's trucks. I hand-cut 4x3-inch square cookies. 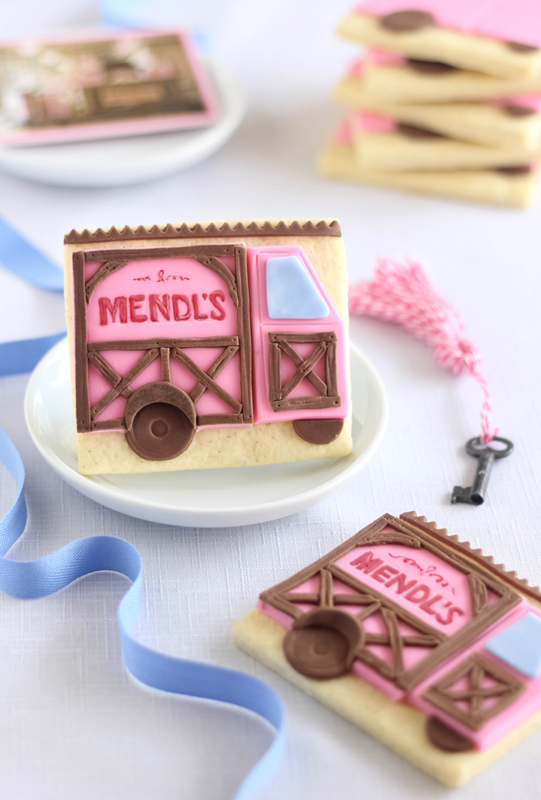 Ready-made Satin Ice fondant was used for the pink truck facade, and chocolate fondant for the wheels and wood detail. Decorator piping tips made excellent wheel cutters! 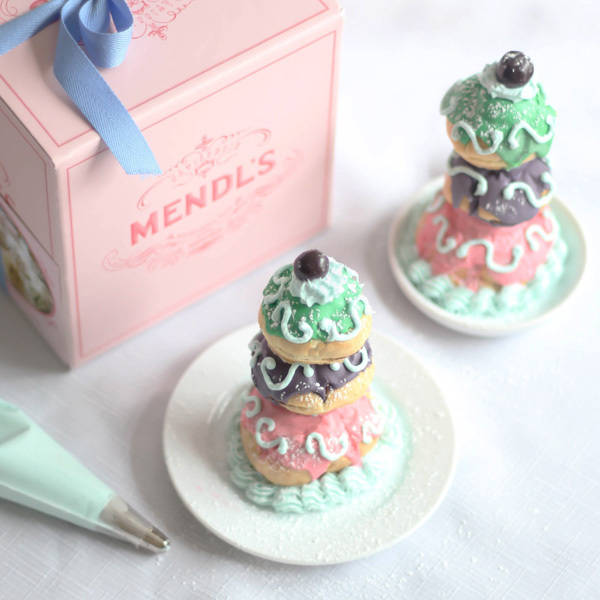 I free-handed the lettering for the Mendl's sign (which, you can probably tell, it isn't perfect) with red and white gel food colors mixed with a drop of two of vodka. To those of you who get to see the movie tonight - I'm so jealous! It's not even showing in my town yet! My consolation is that I'm working on a very special 90th birthday cake this weekend for my husband's Grandmother - 90, my friends! 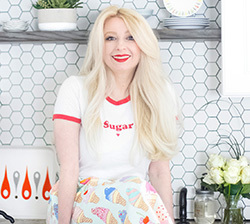 I'm so honored to be making such a special cake. I get tears in my eyes just talking/typing about it. You can be sure that I'll be sharing pictures and posts of the occasion. But until then, go see this amazing movie! You can get a peek of it here. 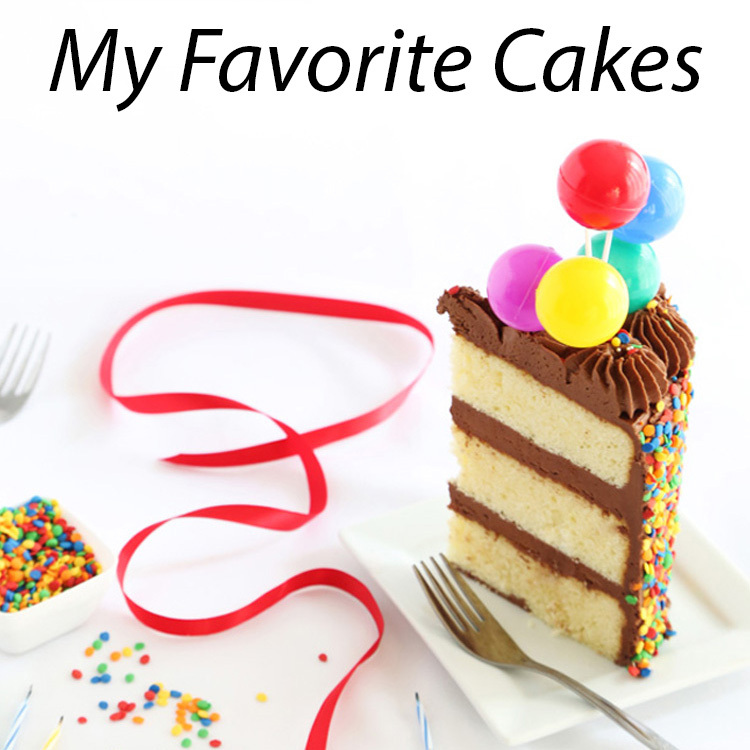 Source: Adapted from my favorite cookbook The New Pastry Cook by Helen S. Fletcher. This all-in-one cookie dough is sometimes referred to as German Shortcrust or Viennese Shortdough. All you need to know is that it's buttery and delicious - and it's easily made with a food processor. The unfilled baked cookies will keep well for 10-14 days in an airtight tin. In fact, they improve with age. Doubling this recipe is not recommended, even in a large machine. Successive batches may be made without cleaning the bowl and blade. Over-processing the dough will make it too crumbly and the cookies will fall apart, so do be careful to not overwork the dough. Place lemon zest, seeds of the vanilla bean and sugar in the bowl of a food processor fitted with a steel blade and process for 1-2 minutes. Sugar should be pale yellow and fragrant with lemon. Add the flour and salt, process for 5 seconds to mix. Cut butter into pieces and place in a circle on top of the flour mixture in the food processor. Process for about 20 seconds, or until the butter is cut into the flour very finely. Mixture should be light and powdery. Add yolks in a circle on top of the mixture and process for 20-30 seconds until a ball forms. Process again 10 seconds longer. Roll dough between sheets of wax paper or parchment paper to 1/4-inch thickness. Preheat oven to 350F. Reduce temperature to 325F just before putting the cookies in the oven. 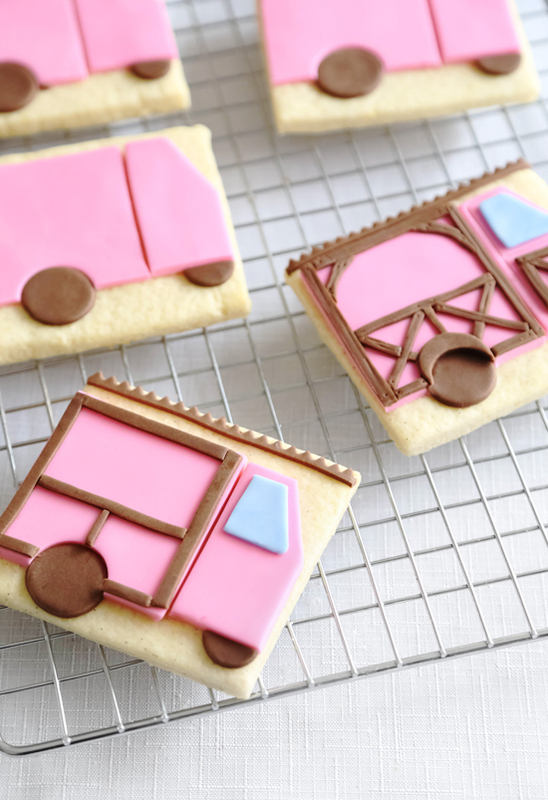 Remove top sheet of wax paper and cut out shapes with cookie cutters or a knife. Dough is very buttery, so I did not have to flour my cookie cutters. If dough wants to stick, dip cookie cutters in flour. 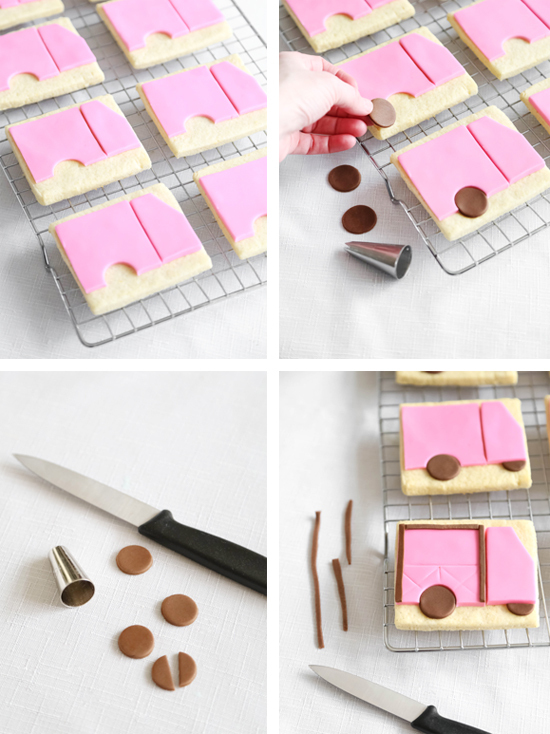 Transfer cut outs to a parchment-lined cookie sheet using a spatula. Chill in the refrigerator for 30 minutes, or place cut-outs in the freezer for 15-20 minutes (preferred). Bake for 15-20 minutes, depending on size. 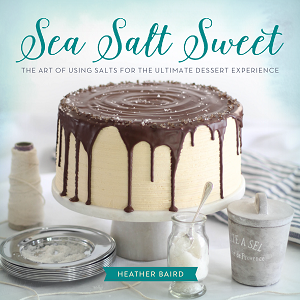 Let cool completely and dust with confectioners' sugar or frost as desired. 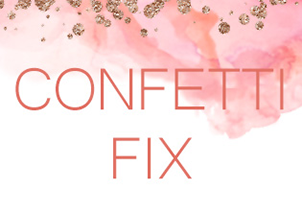 Scraps can be re-rolled between wax paper and cut again. I adore these cookies!!! 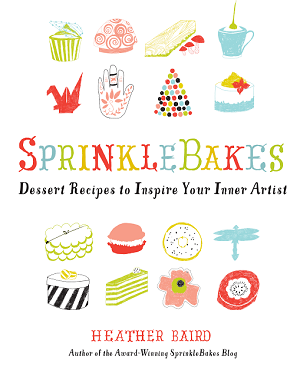 Heather, You belong in that bakery, real or imagined! XO! 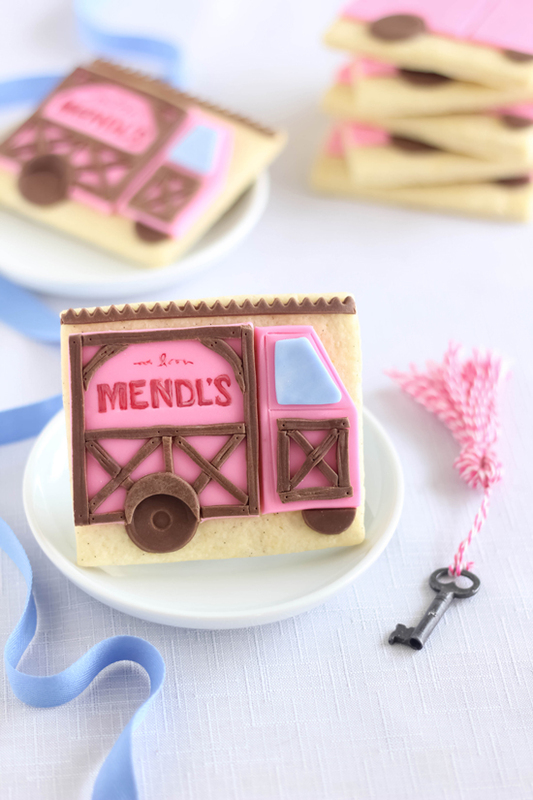 Oh how cool, it makes perfect sense for them to send you a gift - lovely cookies, super imaginative! 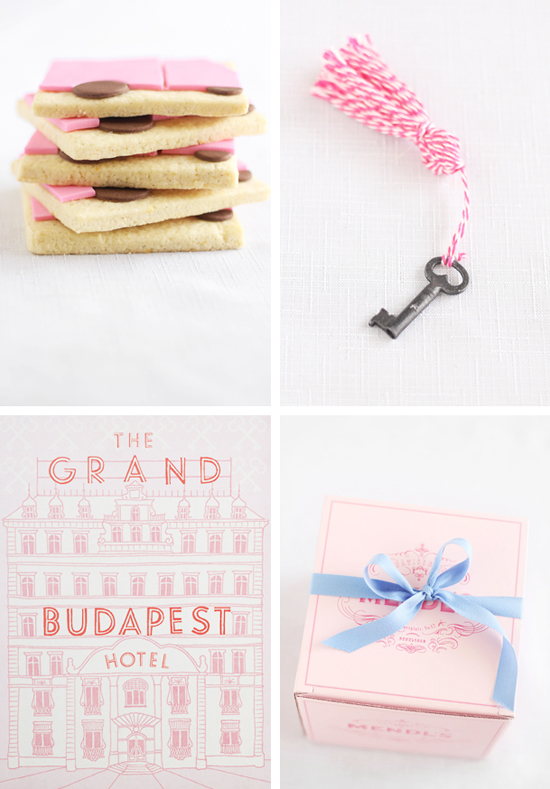 I adore Wes Anderson! Such a cool way to promote a film. I'm glad you wrote about this new movie, because I hadn't heard about it yet! I plan to celebrate with these cookies :) If only I could decorate as well as you! Ok, I've never, EVER said, not even thought that a delivery truck is cute. But, Heather, you've done it! What a great idea! I just got your book and I LOVE it! 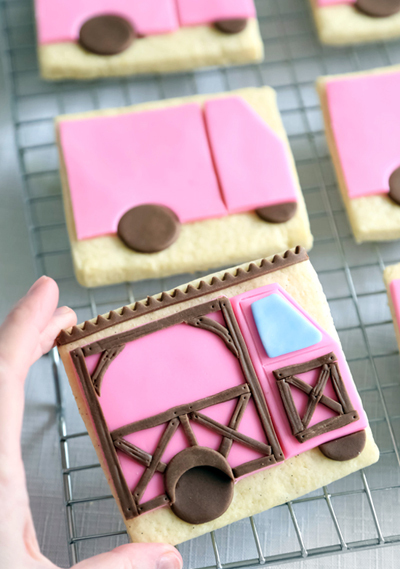 The delivery truck cookies are adorable! Such a creative idea! What a lovely story! And such gorgeous, scrumptious-looking cookies you've created! OMG!!! 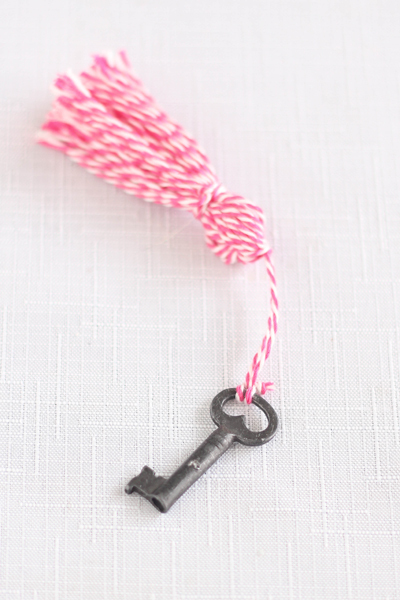 I am in love with your blog!!!! Thanks for all you offer! Great movie, watched it this week and was even more excited when I saw your post!